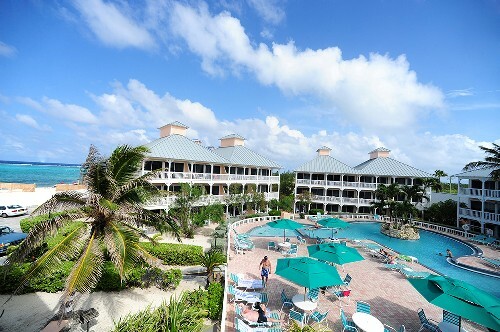 Enjoy 7 Night Stay at the Morritt's Tortuga Club in Grand Cayman! A beachside paradise on one of the world’s most beautiful islands, Morritt's Tortuga Club and Resort offers some truly unique sights and sensations. Spectacular coral and mesmerizing marine life are just off the silky sand beaches. There’s a complete diving and snorkeling program right at the resort or witness it all on a dramatic submarine tour. Or, opt for windsurfing or just relax by the two crystal clear pools. Dine on sumptuous international and island cuisine at David's, the on site restaurant and check out the nightly entertainment. REQUIRED SURCHARGES (energy, accommodations/occupancy tax, bed tax, fees or other miscellaneous) ARE THE RESPONSIBILITY OF THE OCCUPANT AND ARE PAYABLE DIRECTLY TO THE RESORT. Surcharges are subject to change without notice. Energy surcharges per unit, per week are based on usage. Studio USD 45-100.00, one bedroom USD 50-150.00, two bedroom USD 75-250.00. Per unit, per day Cayman transient occupancy tax: USD $10 is due at check-out. Resort requires a USD 500.00 security deposit. This Certificate is for poolside accommodations Smoking NOT permitted on-site.